"We are certainly proud of BumperDoc's continued growth across Florida," said Rick Perez - BumperDoc Franchises COO. BumperDoc Franchises, an Auto Body and Paint Franchise, recently announced the organization has officially added two new locations in the Florida market as part of the companies ongoing strategic growth initiative. 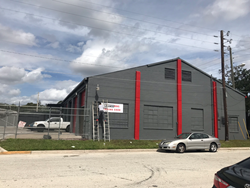 BumperDoc of Downtown Orlando, the third location in the Orlando area, is owned and operated by Miguel Gines who brings to the business an extensive background in the auto collision and auto body and paint industry. The shop is located at 22 S. Westmoreland Drive in downtown Orlando Florida, and is expected to open early in 2018. The area is currently going through a redevelopment stage and the new location is located near the heart of the downtown and less than half a mile from Orlando City Stadium. BumperDoc of Pompano Beach, the sixth location in South Florida is owned and operated by Bernardo Naviera, a Venezuelan native, whom is excited to get the doors open and service the Pompano Beach community and surrounding areas. The shop is located at 21 SW 5th Street in Pompano Beach, Florida. "We are certainly proud of our continued growth across Florida," said BumperDoc Franchises Chief Operations Officer - Rick Perez. "We are pleased to continue expanding BumperDoc’s offering to Florida motorists and the numerous automotive businesses in the state."